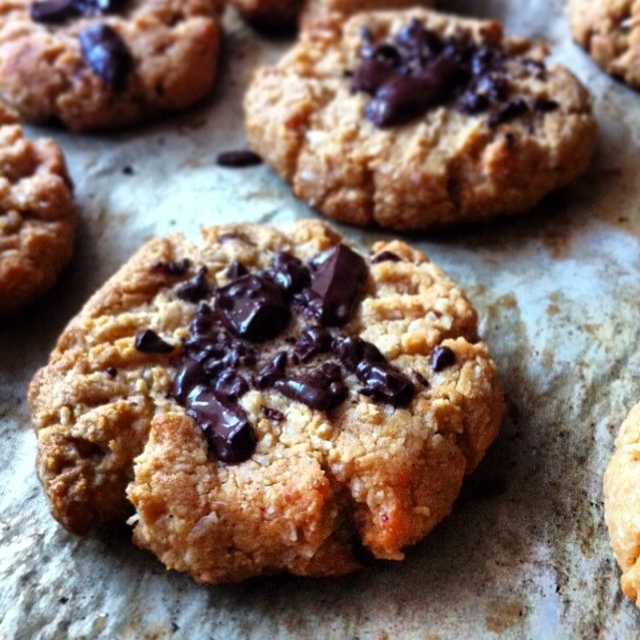 This entry was posted in Desserts, Vegetarian and tagged Chocolate chips, Coconut Peanut butter cookies, Cookies, Dairy -free and Gluten Free dessert, Desserts, food, Gluten Free Peanut Butter Cookies, Peanut Butter, Peanut Butter Cookies, Recipe by Balanced Modern Mom. Bookmark the permalink. Love an easy treat recipe like this–and GF too! Going to make them this wkend! Thx! When your in love that extra eating can catch you off guard! Cookies looks relish! I will baking those as soon as I get my kitchen put back together!! Thank you! These are delicious and perfect for gluten free I also have a recipe for coconut balls that are quite delicious & gluten free. Oh they sound good too. I’ll put them on my list. 🙂 Thanks.